The 13th annual Brooklyn International Film Festival, which opens on Friday, June 4 with four screenings at Brooklyn Heights Cinema and an after party at PowerArena in DUMBO, is bringing 101 movies from 25 countries to the borough. 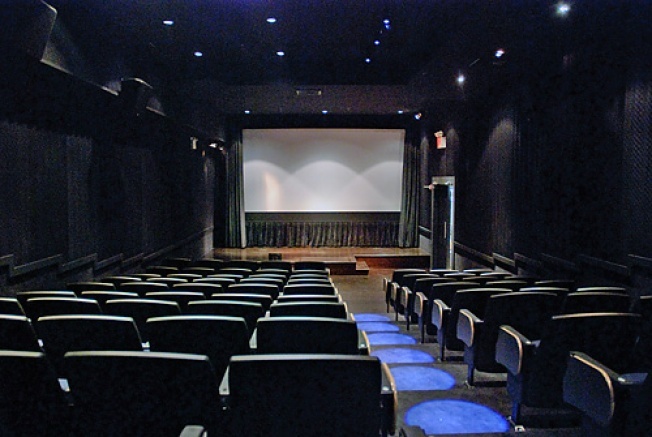 But for director Marco Ursino, the most exciting part is that for each of the ten nights, one screening will be held at his brand-spanking-new theater indieScreen on Kent and South 2nd. "We're still putting in the finishing touches," says Ursino, an 18-year Brooklyn resident who is originally from Italy and has been directing the Festival since the very beginning. With indieScreen, he plans to attract independent films from around the world while also showcasing Brooklyn filmmakers year-round. The 92-seat theater also has a fully-equipped stage for which Ursino plans to host concerts and comedy shows. But wait, there is more. A restaurant and bar run by Ursino's partner and the owner of Williamsburg's shuttered Planet Thailand and the Chelsae spin off PT212, will be attached to the theater, serving small plates and appetizers (maybe for some special occasions patrons will be allowed to bring food into the theater, but "we don't want it to get to messy, says Ursino). There will also be a DJ booth in the restaurant, and even though "it is not a dancing place" they plan to have good music and the bar will stay open until 1 a.m. on weekdays and 2 a.m. on weekends. The theme for this year's festival, which, clarifies Ursino, is not represented by every film, is "Stunt," based on Ursino's personal analysis of the current social and political climate, one that he describes as a "real crisis" where politicians and financiers behave more like stuntmen than professionals in the pursuit of power. Ursino says the committee chose films that are "investigative in nature" and aim to "discover the truth about things." For a schedule and tickets to the festival go here and look forward to the full-time opening of indieScreen in about a month.